Prepare your “quilt sandwich” consisting of the backing, the batting (also called filling), and the decorative top. Baste through all layers with large safety pins or long hand stitches to keep layers from shifting during machine stitching later. Mark your quilting pattern using a washable pencil, pen, or chalk. For straight lines of quilting, you may mark a baseline only, then use a guide attached to the presser foot to stitch parallel lines of quilting. Once the quilt is basted and marked, you are ready to stitch. A walking foot replaces the machine’s regular presser foot. It helps feed thick fabric layers under the needle at an even rate, working in concert with the feed dogs under the fabric so that top and bottom layers move at the same speed instead of shifting relative to one another, causing wrinkles and puckers. Use this method when quilting in a rectangular grid pattern or when making designs without close, tight curves. Turn corners by stopping with the needle down in fabric, lifting the presser foot, pivoting the fabric carefully to avoid breaking the needle, and placing the presser foot back down to continue sewing. Follow directions for your particular machine to lower or cover the feed dogs. You will be guiding the fabric under the needle manually instead of relying on the machine feeding the fabric. This enables you to move sideways, back and forth, and around tight curves. The fabric is usually held taut with a hoop, like an embroidery hoop. Use this method for intricate, curved quilting patterns. Guiding the fabric evenly by hand requires practice, so try the technique on samples until you are confident. Then proceed to your quilt, creating scrolls, circles, swirls, and much more. The bar tack feature on your machine, a close satin stitch used to reinforce the ends of buttonholes or the corners of jeans pockets, can also be used to anchor the layers of a quilt together at evenly-spaced intervals. When done by hand, a stitch is taken, the thread cut, and the tails tied together in a knot. By machine, simply make bar tacks every few inches all over your quilt. You may use buttonhole twist thread or machine quilting thread. Recommended spacing for lines of quilting or tufting should be on the label of your batting. Technically, a tacked quilt is called a comforter rather than a quilt, since it lacks the continuous lines of stitching in a true quilt. Tacking is a good option for extra lofty batting. Another creative way to tack/tuft is to sew buttons through all quilt layers. Follow the directions for your sewing machine for using a button foot and sewing with feed dogs down. Space buttons as you would regular bar tacks. Note that buttons are a choking hazard, so do not use this method on baby quilts. 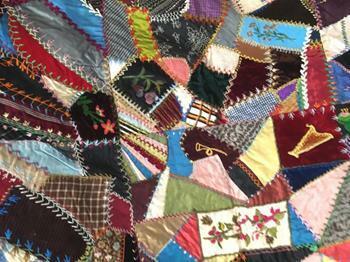 Use decorative stitches such as feather stitch and buttonhole stitch to add beauty to a Victorian style crazy quilt. These quilts traditionally feature oddly-shaped scraps of velvet and satin, with decorative hand embroidery covering the seams. The embroidery stitches on your sewing machine can help you achieve the same effect. A machine with sufficient power to handle multiple layers of fabric. Enough table space to help support a quilt. Supplies you need include a marking tool such as a dressmaker pencil, tailor’s chalk, or a special washable marking pen available in sewing and quilting shops. You also need the quilting thread for the machine. You may also want several packages of special quilting needles to penetrate the thick layers and delivered skipped free stitches. Don't miss out on these quilting machines. Here you can read the sit down quilting machines reviews. Click here to get going with the long arm quilting machines. Here are your best options for the mid arm quilting machines. 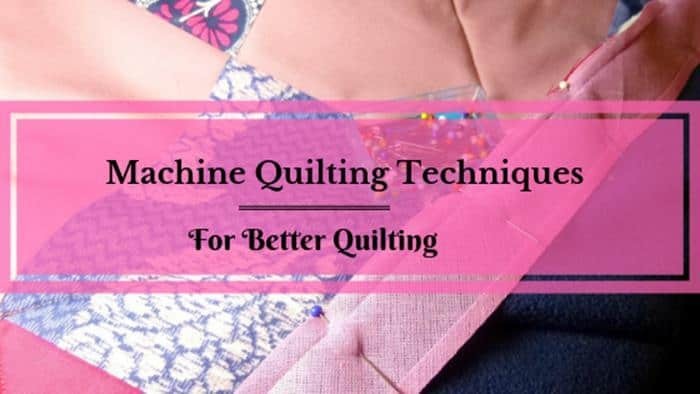 Do not use hand quilting thread in a sewing machine, because this type of thread has a wax coating which can build up in your machine and cause problems. Begin with a smaller lap quilt or baby quilt as you learn to be comfortable and adept at manipulating the quilt layers to follow your chosen pattern. Then move on to quilts for larger beds. You do not need endless patience, a large quilting frame, and loads of free time to make a lovely and functional quilt. Use the features built into your home sewing machine to make the work lighter and faster.